Tools and resources to manage your health and budget. Find a doctor and tools to manage your health. After you enroll, you’ll be able to enter Provider Search through the secure member website, which prefills your plan information, making your search even easier! The provider search tool is updated six days per week, so you have the latest on participating doctors and facilities. iTriage – a free smartphone app with comprehensive medical content that guides you through the symptom-to-provider™ pathway. Enter the zip code where you live or work to find rates in that area. Teladoc* provides access to U.S. board-certified doctors who can prescribe medical treatment for a wide range of conditions, and can send a prescription to your pharmacy of choice, when necessary. Teladoc* is available wherever you are - at home, work, or traveling in the United States. *Teladoc® is covered at the member cost share. Disclaimer: Teladoc and Teladoc physicians are independent contractors and are neither agents nor employees of Aetna or Innovation Health. Teladoc does not replace the primary care physician. Teladoc does not guarantee that a prescription will be written. Teladoc operates subject to state regulation and may not be available in certain states. Teladoc does not prescribe DEA controlled substances, non-therapeutic drugs and certain other drugs which may be harmful because of their potential for abuse. Teladoc physicians reserve the right to deny care for potential misuse of services. Please see plan brochure for details. Staying healthy is important. So is keeping track of your benefits. But managing it all isn’t easy. Discover a smarter, simpler way to manage your health and benefits. 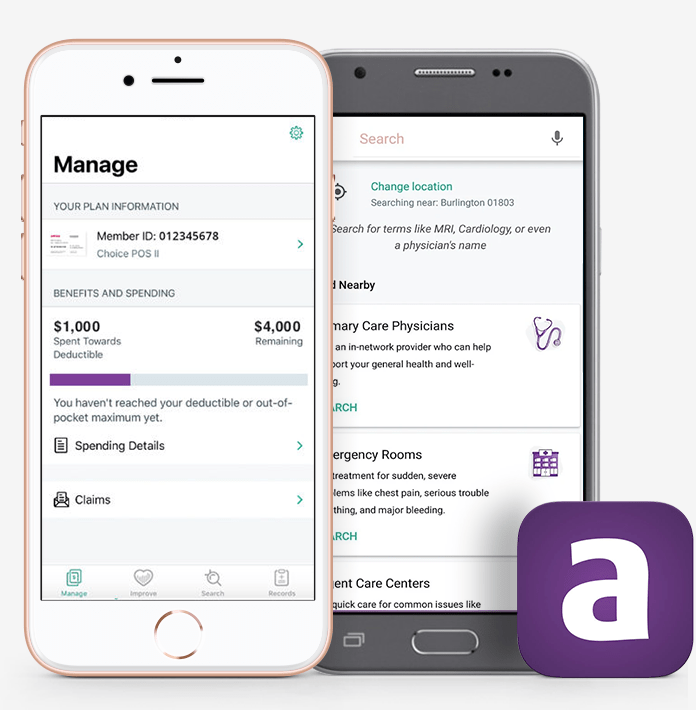 Download the Aetna Health app — your all-in-one resource for the information you need. Visit our Aetna Health page to learn more about the features and to watch a video of the app.